A charming former railroad hub along the Patapsco River, Sykesville is home to a vibrant community, a thriving downtown, and numerous attractions for the whole family. As a state and nationally designated Main Street Community, the Town has plenty to offer its residents, business owners and visitors. One facet of the Town’s past remains a centerpiece today: the railroad. Railway travel was a significant factor in creating and securing the foundation of Sykesville proper. Today, we honor this history through attractions like the S&P Railway model train displays and the Little Sykes Railway Park. Planning a visit? Consider adding one of our popular events to your itinerary. Discover local creations and tasty vintages at the Fine Art & Wine Festival, bring the family to Harvest Fest or come and try some great beer and food at our Craft Beer Festival. No matter when you visit, Sykesville is sure to offer something for everyone. 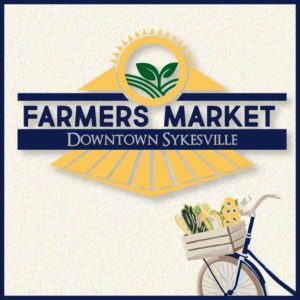 Come explore and find out what makes Sykesville the Coolest Small Town in America.